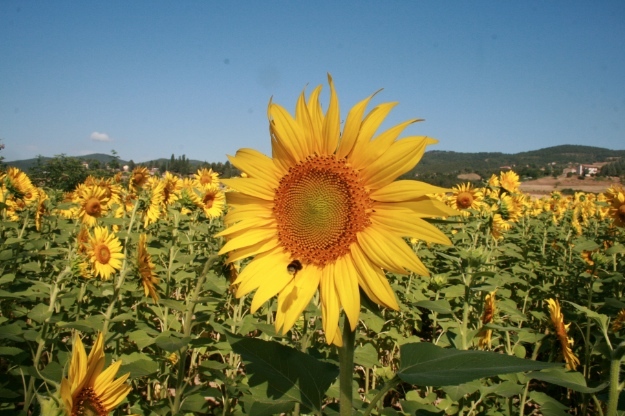 Every summer fields of sunflowers brighten up the countryside of the Tuscany Umbria border. 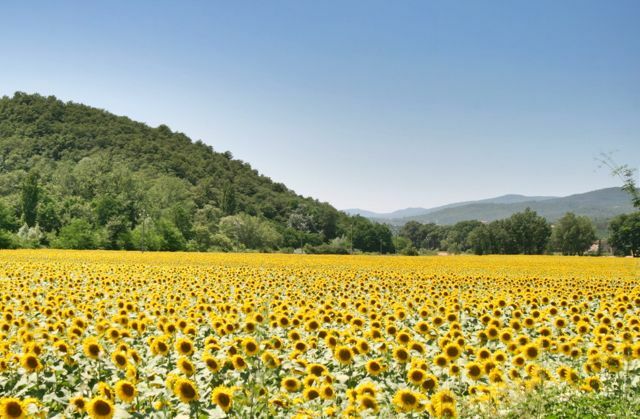 Each field lasts for a couple of weeks at the most before the petals wilt and the weight of the seeds drags the flower heads downwards. Luckily, the fields are planted at different times and the display continues from June through to August.